« New OpenRouteService now with live traffic data, improved route profiles, new Leaflet client and more! The project 3D-TAIGER is an international research collaboration and networking activity between the Institute of Geography, GIScience, LiDAR Research Group (LRG) of the Heidelberg University (HU) and the Department of Geomatics and Department of Earth Sciences of the National Cheng Kung University (NCKU) in Tainan/Taiwan. It is funded jointly by the DAAD (Germany) and MOST (Taiwan). 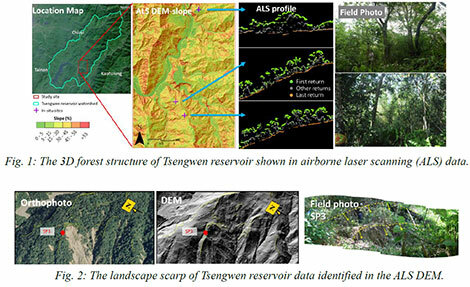 One specific outcome of this project will be the extension of the International LiDAR Vegetation Signature Database – LVISA (http://www.uni-heidelberg.de/lvisa) hosted at GIScience Heidelberg, which contains tree species LiDAR information. LVISA will be extended with ALS reference signatures covering Taiwan’s most prominent tree species. Further, LVISA’s Web analysis tools will be extended to support carbon contribution estimation by NCKU.